Back in January I gave my predictions for 2010. Lets see how I did! 1. We will almost certainly see a new look for Plymouth Citybus. WRONG! There are hints of what is to come with the new logo appearing on the web site and the Citybus Shop but that is all so far. Citybus are currently doing a lot of extra refurbishment work for other Go-Ahead companies which is no doubt helping Citybus finances but means less time to spend working on a new livery at the moment. 2. I am sure it wont be long before we start seeing some new buses joining the fleet. WRONG! GA have clearly concentrated on getting the company leaner and fitter before they start to spend money on new buses. 3. we may well see a few second-hand buses arrive from Go-Ahead fleets to help see off the remaining step entrance Darts and Mercedes bread vans. RIGHT! OK so we didn't get very many (4 Solos and 3 Darts) but its a start! 4. If and when there are major route changes planned expect to see a big effort by the company explaining the changes and highlighting the benefits. 5. I dont think we will see any new Ugo routes springing up next year. RIGHT! in fact quite the opposite! 6. I am sure they will want to give the current routes time to pick up custom so I don't see any major changes to their network for a while. WRONG! The Ugo bus network has been cut back dramatically during the year. RIGHT! A brand new look for the bus fleet is smart but does not quite hide the fact that the buses themselves are past their best. The timetable seems odd to say the least and many passengers seem unhappy at the moment. 8. Target will probably continue to pick up extra work from the council as it continues to cut back on route subsidies. SO-SO! At one stage Target actually looked to be pulling out of most of its contact work although they then picked up most routes back again. The year end position seems to be slightly less work that the start of the year but not by much. 9. Expect to see more Solos seeing off some of the older Mercedes. WRONG! the big surprise was a second-hand step entrance Dart! 10. 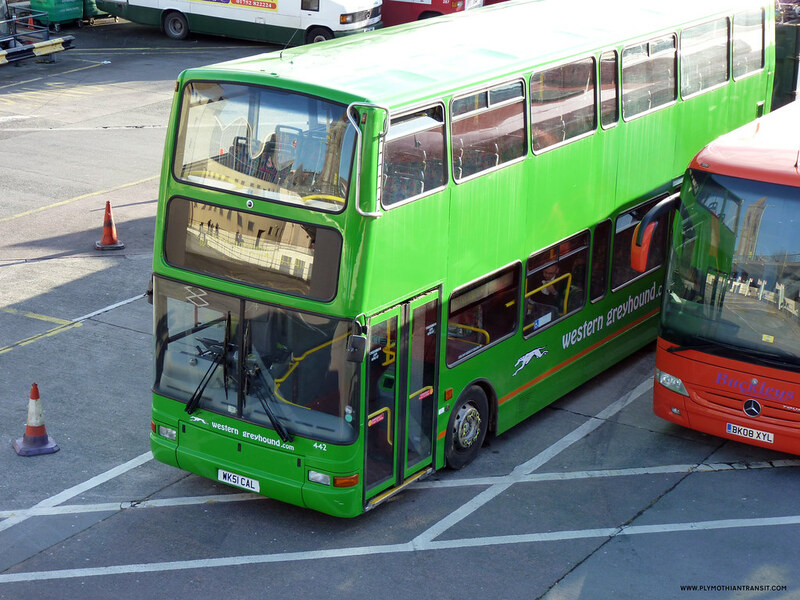 Western Greyhound will continue to grow, and possibly increase their presence on routes coming into the City. WRONG - In Plymouth at least. The 576 seems to be doing well with larger buses often appearing in Plymouth but no major changes to operations into Plymouth. 11. There will be lots of talk about extra rail links to and from Plymouth, including the Tavistock line but not much will actually happen. 12. Plymouth City Council will continue to cut back on route subsidies. RIGHT? A matter of opinion I guess but I haven't seen any progress this year. Plymgo is still there. RIGHT! It certainly was an issue during the election, although not in the way I expected as all parties seemed to pledge continued support for the scheme, or at least were at pains to deny it was under threat. 15. I can predict more of my own photographs again as I will be purchasing a new camera within the next week or so. RIGHT! Decent camera at last - just a shame that the new PC wasnt so successful. 16. I also hope to get out and about a bit more in Plymouth to cover the history of transport in the City better than I have in 2009. WRONG! Certainly not as much as I hoped anyway. 17. Health issues in 2009 saw me restricted in my travels for a large portion of the year, with three months off work and staying indoors. I certainly wont want to see a repeat of these in 2010! RIGHT! My health has been a lot better in 2010 with just 3 days off in the whole year. Just need to loose a lot of weight now! 1. New look for Plymouth Citybus. I am pretty sure this will happen in 2011! 2. More secondhand buses for Citybus. Unless there is a major change of plans then this year will see quite an influx of buses. A batch of Dual Door Dennis Darts are coming from Go-Ahead London shortly and there are strong rumours of more low floor double deckers coming to see off the remaining Volvo Citybus fleet. There is still the chance that the fleet will gain some Mercedes Citaro 'bendy buses' too (but see prediction 3 below! )and the Citycoach fleet may also see a few internal transfers from elsewhere. 3. 2011 will see the end of step entrance Darts and the Mercedes 709 bread vans and the Volvo Citybus double deckers. 4. The Mercedes Citaro bendy buses will NOT end up running in Plymouth. As far as I know nothing has been decided yet so it could well happen but I somehow think it unlikely. I would actually like to see a small fleet of these but I see Royal Parade as being a major issue when it comes to operating a fleet of these in Plymouth. 5. I think any route changes in 2011 will generally be small improvements to existing routes rather than any major cutting back. I can see the 26 being cut back a bit to something more sustainable as competition with First all but peters out but I expect to see Citybus remain in Plymstock. 6. Sadly I can only see more cutbacks for First over the next twelve months. I am not convinced that the 12 will see the year out. 7. The Ugobus brand will all but disappear. 8. 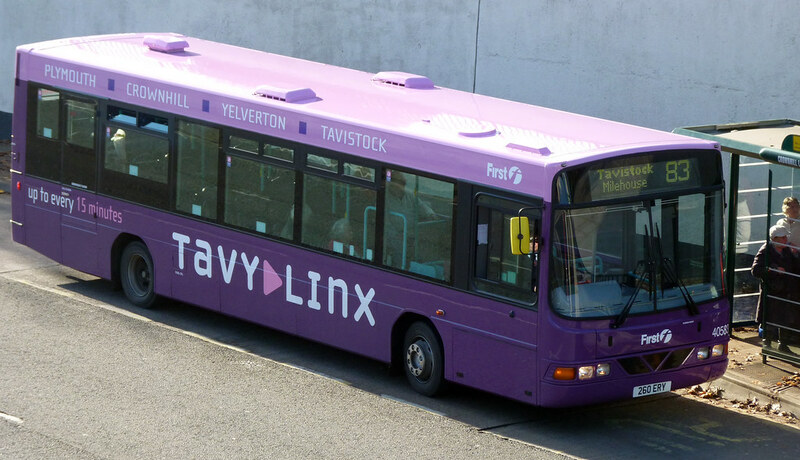 Tavistock routes will continue to change over the year while they try to improve the service. The Park and Ride routes will be run commercially by First (has this already started?) which means that First call the shots rather than the council. Expect reduced frequencies and other minor cutbacks and maybe fares increases. It would be nice to see the PR2 buses in the same Park and Ride livery, or possibly a brand new livery for the routes? 9. No new buses for First in Plymouth but we will see more low floor double deckers from London replace older Olympian double deckers. 10. 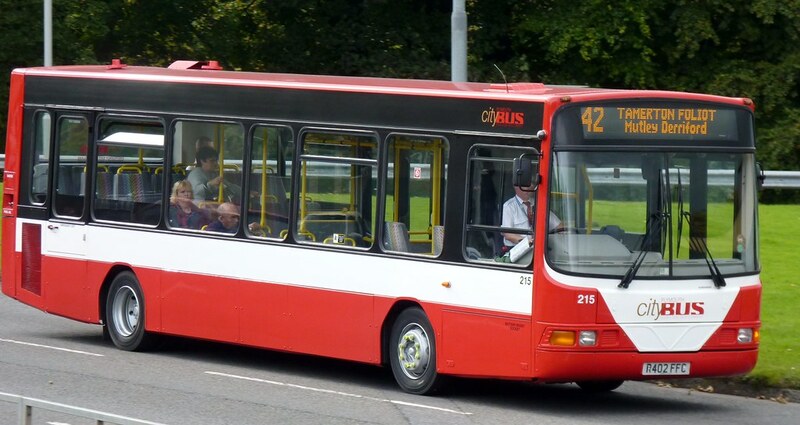 Target will continue to run the routes that the other operators dont want, but with the council almost certainly cutting back on the routes it pays for they will see some reduction in service during the year. Taxibuses will disappear completely. 11. There will be lots of talk about extra rail links to and from Plymouth, including the Tavistock line but not much will actually happen. 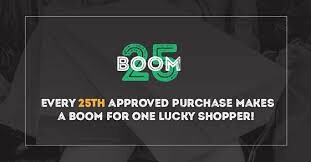 You can pretty much guarantee this each year! 14. Pensioner free travel will cause major problems over the coming year as it appears bus operators will be expected to bear the brunt of cutbacks in funding. Industry experts are predicting rural routes coming under increased pressure as a result of this and other grant changes. I still see the Government making a few changes to the scheme over the coming year as it tries to reign in costs. 15. Plenty of photographs with the new camera! I do intend to get out and about in Plymouth and will be more organised and plan trips ahead to make the most of them. A Happy New Year and many thanks for your excellent blog site. You mentioned “Industry experts are predicting rural routes coming under increased pressure as a result of this and other grant changes” Would you say that the 48 service to Wembury comes within this definition. 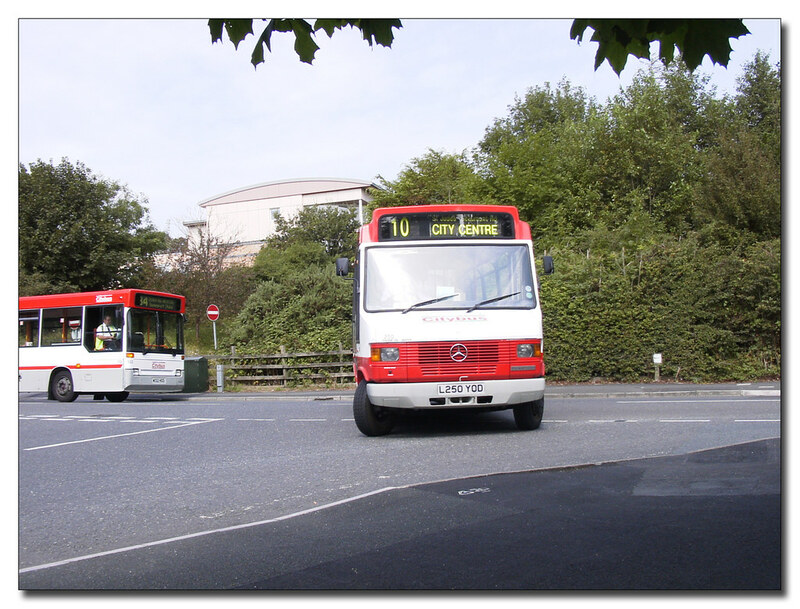 The reason I ask was in 2010 the early morning and evening buses after 18.30 were withdrawn. The current service is funded by Devon County Council, however, they have only guaranteed this up to 31/3/11. Seems crazy as it is only 2.5 miles from the edge of Plymouth and the service is used? Anon - I think this is just the start of such cutbacks as Devon were clearly only committing to a short term solution whilst waiting to see what funds are likely to be available for the next financial year. Sean - I have heard that too but have not seen anything myself yet. I am sure if its out there it wont be long before it appears here - or in PTOTPA!